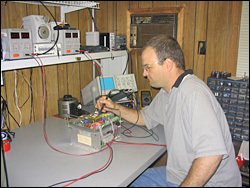 Our technicians have years of hands on experience doing component level repairs. 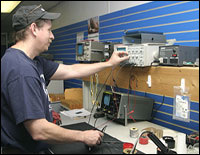 Our electronics repair laboratory is fully equipped to fully load test items after repair. Items are returned in anti-static packaging. We stock a huge inventory of spare parts to ensure that repairs are returned rapidly. From login to shipping, we have streamlined our procedures for maximum efficiency. Give us a call at to compare our prices!